I bought this Simple Oil Balancing Exfoliating Wash a few weeks after I ran out of my Body Shop Tea Tree Blackhead Exfoliator and couldn’t find another tube in store. It claims to deep clean and refresh your skin aswell as control shine. I have combination skin, leaning more to the oily side. 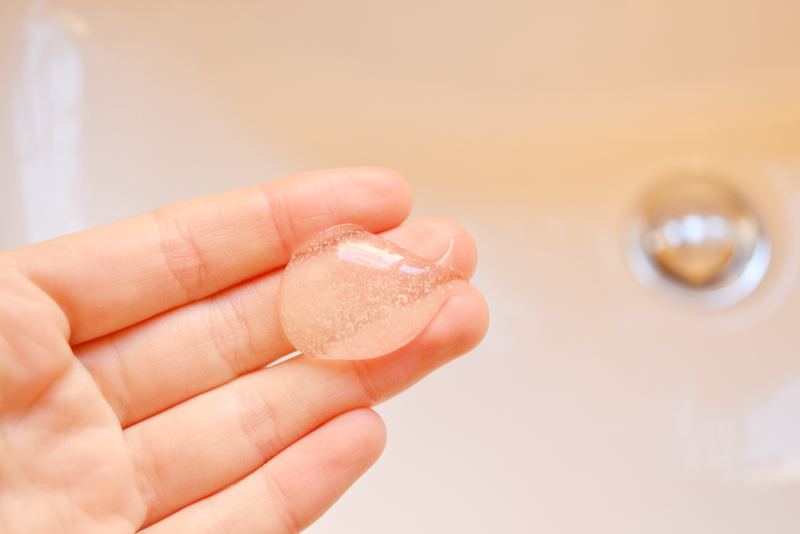 The product itself contains witch hazel which I’ve always been a fan of as well as natural zinc pca – the product which absorbs the excess oil and vital vitamins too. It’s a clear gel with very small grains which aren’t too harsh on your skin, I’ve found in the past exfoliators can really grate on my skin so it’s nice to have something a bit more gentle. It also means this can be used daily rather than every other day or even less frequent. The product definitely works. It helps reducing spots although doesn’t quite tackle with the issue of blackheads like I’d want it too. I struggle with blackheads on my nose and haven’t yet worked out how to get rid of them. 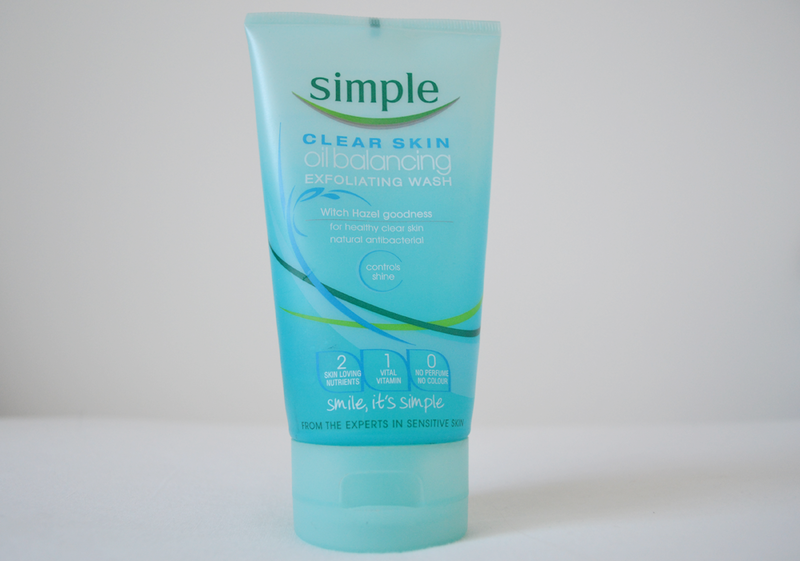 The wash not irritable at all and leaves my skin feeling very smooth. Although I’ve heard it can leave your skin dry, so if you already stuggle with dry skin it’s probably not for you. At £3.99 it’s a great price which definitely wont break the bank, and the product is fine, but I still think for now I wont repurchase and instead I’ll try to find a product that does everything I want it to do – keep breakouts at bay AND rid me of those horrible blackheads! What’s your favourite exfoliating wash? See my other skincare posts here.